Scott Slappey is a partner in the firm of Slappey & Sadd, LLC, in Atlanta, Georgia. He holds a B.S. from Georgia Southwestern College, 1983, and a Law Degree from the Walter F. George School of Law, Mercer University, 1986. Scott has been a member of the State Bar of Georgia since passing the bar examination in 1986. Scott is also a member of the Georgia Trial Lawyers Association, and the Workers’ Compensation Claimant’s Lawyer’s Association. Scott’s main area of practice is in the representation of injured workers in workers’ compensation cases. His experience in the field of workers’ compensation began with the representation of employers and insurers in workers’ compensation cases. However, since 1990, Scott’s work has been almost exclusively involved the representation of injured workers against their employers and insurance carriers. Scott is a member of the Rules Committee for the Chairman’s Advisory Council of the State Board of Workers’ Compensation. This committee is charged with formulation of rules and regulations to implement Workers’ Compensation laws. 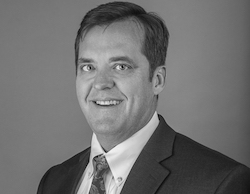 Scott also serves on the Executive Committee of the Workers’ Compensation Claimant’s Lawyers Association and has been a member of that organization since 1991. He has also served as a member of the State Bar Communications Committee, the Georgia Trial Lawyers Association Headquarters Committee, has also served on the State Board of Workers’ Compensation’s Annual Seminar Committee. Out of a concern for the environment, Scott has served on the Board of Directors for the Georgia Conservation Voters. This is a committee dedicated to furthering the goal of protecting and conserving our environment by working on issues such as clean air, clean water, preservation of wildlife habitat, preservation of our natural resources, etc. He also served as the President of that non-profit group. Scott is a frequent speaker and has presented many articles and speeches for the continuing education of fellow attorneys on matters related to workers’ compensation. Throughout his career, he has presented lectures on topics including exclusive remedy, cross-examination techniques, death benefits, how to achieve fair settlement for your client, the trial of a workers’ compensation case, average weekly wage, dissection of new laws, as well as lectures in many other subjects.